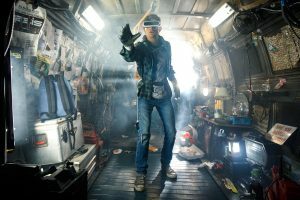 Ernest Cline’s Ready Player One takes great pleasure, even revels in nostalgia and escapism. His main protagonist, Wade Watts, lives in a dismal future where the only things noteworthy on the news are new killer viruses, another city vaporized in a mushroom cloud, updates on the horrors of climate change, famine, or power shortages. Surrounded by depressing realities, a new virtual reality without all these problems has been built: with people trapped inside the trash compactor of problems they can do little to nothing escape from, The Oasis quickly gains popularity. One day, Wade is interrupted from his routine by an announcement that the creator of the Oasis, James Halliday, had died. This seems low on the priority list of newsworthy topics, but there was a catch: Halliday had no heirs to leave his billions to, so he has left Easter Eggs inside the Oasis for anyone to find. If someone was able to find the secrets and complete their challenges first, they would win all of Halliday’s fortune and controlling ownership of the Oasis. It’s a thrilling mix: mystery, adventure, and a promise of escape and a better life, with enough resources to make any desire instantly attainable. 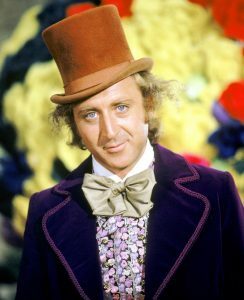 The book is reminiscent of Willy Wonka, with Halliday offering his chocolate factory to Watts if he can just get ahold of those golden tickets before anyone else. Naturally, everyone jumps at the chance to be the treasure hunter who strikes it rich. It also should come as no surprise that the corporate entities in this future setting, especially a corporation called Innovative Online Industries or IOI, are trying all they can to seize control of the Oasis; to start charging people to even log in to the virtual world. Having tried the corporate and law routes to no avail against the army of lawyers that Halliday had set up for himself before his demise, they, too, have turned their attention to egg hunting. Egg hunters (known as “gunters”) have devoted years to researching 80’s pop culture, sure it will become useful because Halliday was obsessed with the era. But, after 5 years of no progress or breakthroughs from the gunters, it seems that either everything was just a hoax, or Halliday hid the secrets too well; the fervor and even interest is all but gone. Then one day, Wade (known as “Parzival” in the Oasis) finds the first key. Unfortunately for Wade, everyone instantly knows about his progress: Halliday has changed his personal website to a scoreboard upon his death, and now anyone who checks the site can see Parzival’s name at the top of the leaderboard. After that, everyone—including IOI—throws themselves completely into the search again, knowing that this time it is actually real. Nolan Sorrento, president of IOI, immediately sends operatives known as “Sixers” to not only try and reach the Easter eggs first in Oasis, but also to attack and sometimes kill gunters in the real world while they are vulnerable exploring virtual reality. Questions about Escapism: Should I delve into this other world and just try to ignore all these problems I can’t fix in the real world anyway? Will spending too much time there leave me more vulnerable or unprepared in this life? Questions about Tenacity and grit: Is studying and trying to consume every bit of information about a particular thing ever really worth it? When is the cost of attaining your goals too much? Questions about Identity: Do I try and distance myself from how other people perceive me, based on my appearance, when I get the chance? Would I be a different person if I could do all the things I see in video games and movies, or would it just be an extension of who I am? Questions about why you haven’t read this book yet: It’s at almost all bookstores, and not very long for a novel. It’s at many libraries. There’s a promising movie just released that’s getting pretty good reviews. 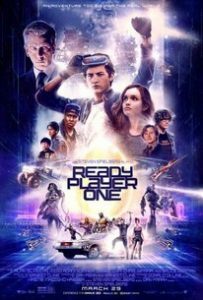 So, for those looking for insight as to what to expect in the movie, you’ve got the overall plot; and for those looking for whether or not to pick up a copy of the book, I hope I’ve helped you decide that as well. Thanks for logging on to Redeeming Culture. 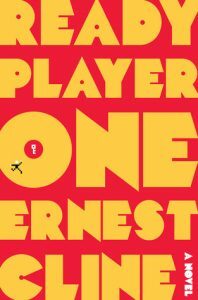 This entry was posted in Literature and tagged book, Ernest Cline, Ready Player One, virtual reality, Willy Wonka and the Chocolate Factory. Bookmark the permalink.